As I browse Facebook, YouTube, blogs, and various other corners of the world-wide web, I occasionally stumble upon particularly interesting and relevant bits of news and information. Probably I could create an entire blog post focusing on each of these items, but such a task would be far greater than I could handle. A better approach, I think, is to pause here at the end of the month and simply summarize some of January’s “top stories” related to psalmody and the church. Clicking the links will direct you to webpages which contain more information about each topic. May you be edified and encouraged by these news highlights! Welcome back to URC Psalmody’s 2013 Heidelberg Catechism series. Today we turn to Lord’s Day 5, the first installment in the Catechism’s second section. Now that we have an understanding of our true nature from Lord’s Days 1-4, we naturally desire to know how we can be saved from our sin and misery. The Catechism answers this question slowly and methodically, giving us plenty of time to reflect on its claims. 12 Q. According to God’s righteous judgment we deserve punishment both in this world and forever after: how then can we escape this punishment and return to God’s favor? A. God requires that his justice be satisfied. either by ourselves or by another. Actually, we increase our guilt every day. 14 Q. Can another creature–any at all–pay this debt for us? and release others from it. that is, he must also be true God. How vain they are the Lord doth know. A few days ago, while I was browsing through some recordings of church services, I came across a very peculiar incident. The song leader had spontaneously chosen a rather contemporary hymn for the congregation to sing. To the congregation, the song was completely new; the pianist, struggling to find the right notes and rhythms, had obviously never heard it before either; and, most unfortunate of all, the leader himself was unable to hold the tune. The result was a comic disaster. When I had given up on trying to decide whether to laugh or cry, I began to wonder if there might be a few things we could learn from this incident. Perhaps an obvious reaction would be to complain that song leaders shouldn’t pick psalms or hymns the congregation doesn’t know. For my part, I believe this response is both oversimplified and misguided—after all, if only familiar songs are to be sung, how can someone learn anything new? No, I concluded; dumbing down our churches’ repertoire will only be detrimental. As a church musician, I found myself instead focusing more intently on the role of the accompanist in such a situation. 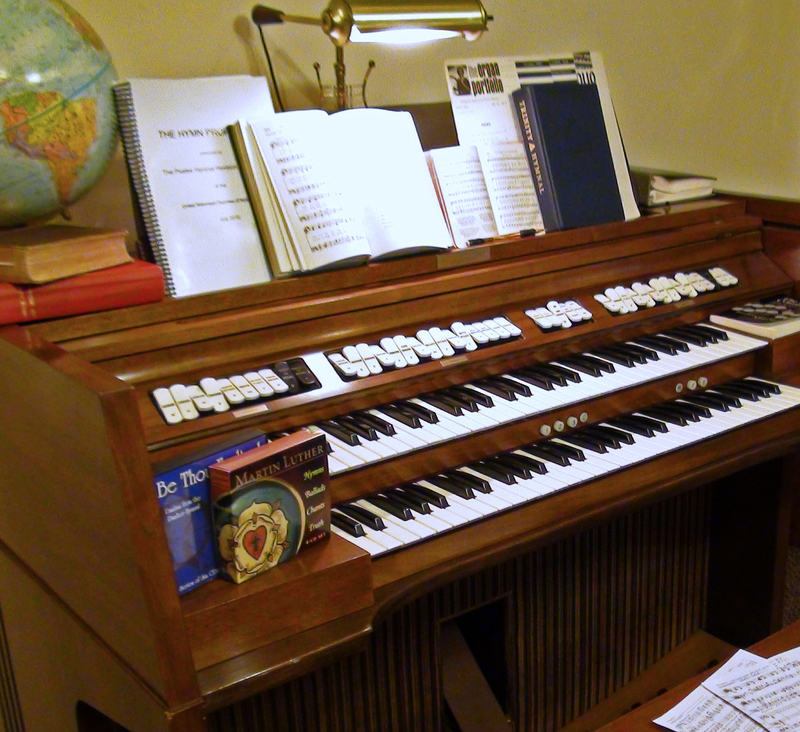 Let’s be honest: if you’ve played an instrument in worship services for any period of time, you know that if the unexpected can happen, it will happen. Bulletins will come out late. Pastors will make last-minute changes. You’ll have to adapt to instruments that need repair. And at some point, you’ll probably be put in a position similar to this poor pianist’s, faced with the responsibility of spontaneously sight-reading a completely new piece of music. Listen often and again to good recordings of church music, specifically the kind you’ll be playing most often in our Reformed churches (congregational psalms and hymns). This has a huge variety of benefits: it’ll familiarize you with the styles and nuances of church music; it’ll expose you to a wide range of interpretations, tempos, embellishments, and the like; and it’ll help you develop your own well-rounded approach for your own congregation. These aspects go far beyond mere technical difficulty; that’s why we try to collect links to real recordings from the Psalter Hymnal (not computerized renditions) here on URC Psalmody, especially on our Psalter Hymnal Albums page. Certainly it is the pastor’s or song leader’s responsibility to pick good, solid psalms and hymns that are suitable for congregational singing. And certainly some of the responsibility rests with the congregation, to sing actively and enthusiastically rather than absently mumbling. But we, the church musicians, must bear in mind that it is our responsibility to be familiar with all the songs in our church’s collection, even before they’re picked for a service. This is necessary not so that we can give solo performances during worship, but so that we can properly support worship’s primary instrument: the congregation. So if you ever find yourself in the midst of a musical “train wreck” during a worship service, don’t despair. Surely it’s happened to all of us at one time or another. Rather, press onward to further improve your own technique and better support the congregation. And take comfort in remembering that, regardless of what songs are selected, your role as a good church musician should never change. 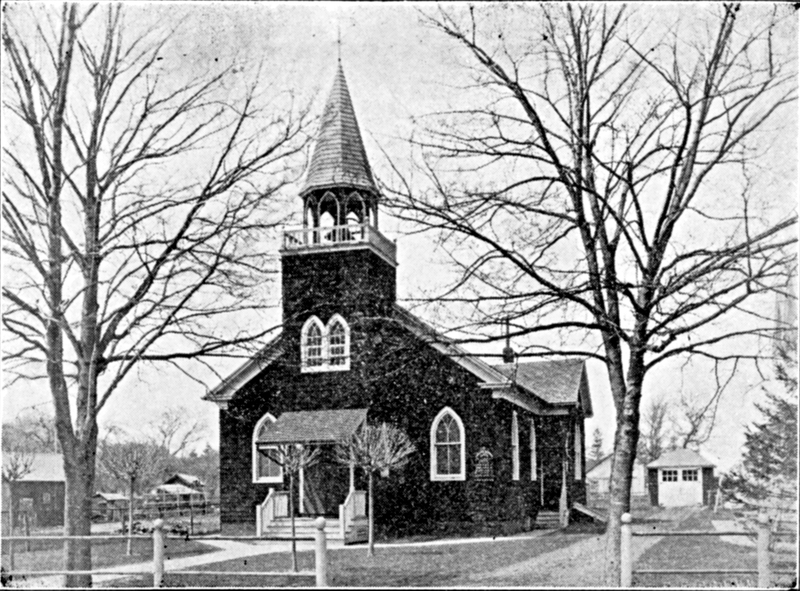 Last summer, my co-author Jim Oord wrote an article introducing our readers to a denomination with which the United Reformed Churches in North America enjoy Phase 2 ecumenical relations: the Reformed Presbyterian Church of North America. (In layman’s terms, this simply means that our doctrines, practices, and worship styles are very compatible.) 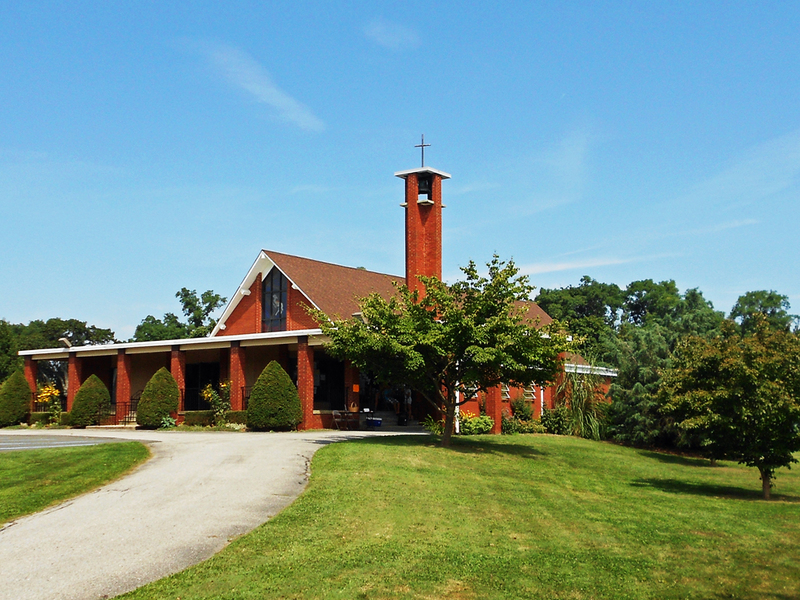 The RPCNA is a notable denomination for many reasons, not least their practice of exclusive psalmody. Reformed Presbyterians sing only the Psalms in public worship (from an excellent modern psalter, The Book of Psalms for Worship), and they do so without any instrumental accompaniment. Needless to say, Jim’s post generated plenty of comments and not a little controversy. However, the point we wanted to convey most of all was not that one denomination is better than the other, but that the RPCNA has an incredible commitment to learning, singing, and loving the psalms which we might do well to emulate. 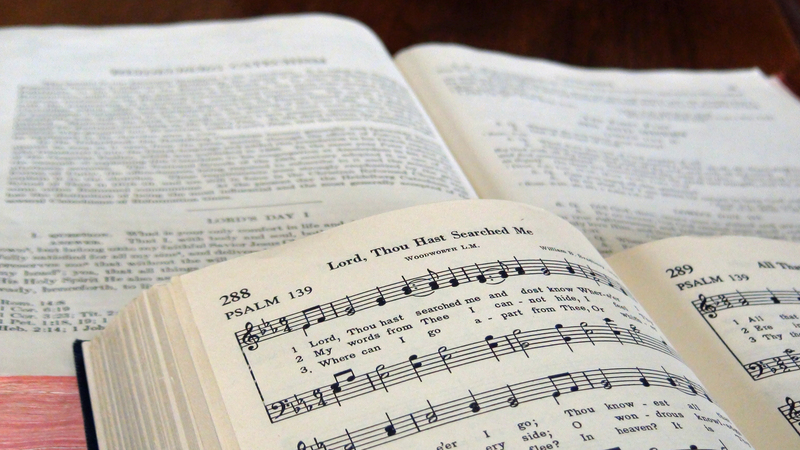 Hymns or no hymns, the Reformed Presbyterians’ ability to sing the psalms in full four-part harmony, often from memory, is downright incredible. Indeed, whether or not we agree with our Reformed Presbyterian brethren on the exclusive use of the psalms in worship, this recording ought to inspire us to recommit to a manner of worship that prioritizes the Psalter as the songbook given by God directly to his people. It’s the most important worship music decision we’ll ever make. For more Reformed Presbyterian psalm-singing resources, check the links on our page on The Book of Psalms for Worship.